We’ve had our ups and downs, but after being together for 34 years, 31 one of those married to each other, we both recognize that we have a pretty good thing going. I wish everyone felt this way about their partner. I know I’m pretty lucky to have a partner with a good sense of humor, who knows how to be silly, who likes to cook, and who leaves me notes as often as I leave them for him. Almost any day I head off island to the grocery store, Bruce has written a little note to me at the bottom of my list, and I discover it while I am racing through the aisles with the boat schedule in the back of my mind. Whenever I am away from home overnight, I leave a note on a heart under his pillow. If I were asked what the secret to a happy marriage is, I would say it comes down to 3 simple things: Find humor in everything and laugh a lot, thank each other for even the simplest things, and leave little notes around. 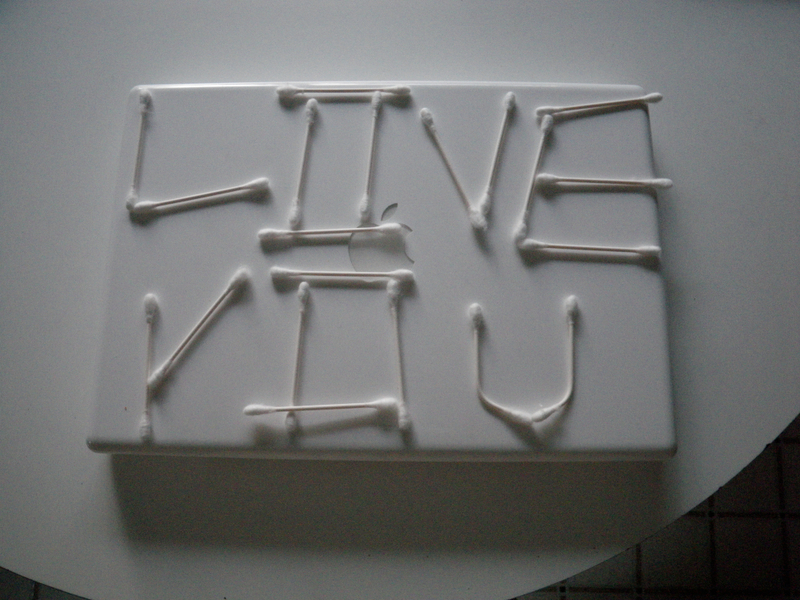 It was the best use of a spray bottle and red food coloring I’ve ever seen, and it’s the best Valentine I’ve ever had. We keep the photo on our refrigerator and people still comment on it. I hope they are inspired. Absolutely beautiful. Made me smile. Thank you! Thanks Carla. That valentine always makes me smile. Hope you had a good day. Did you make your crepes? Lovely post Barb. How nice to hear such positive things about your hubby after all these years. I’m so glad you are blogging every day now. It’s always fun to keep up with you and what you are up to. Thanks Ruth. I’m having fun keeping up with your bird a week blogs. It’s inspiring to see all of the birds everyone is making! Especially yours! This is wonderful. I do think it’s the little things that count the most in keeping a relationship special through thick and thin. And laughter, I find, to be oh so important. 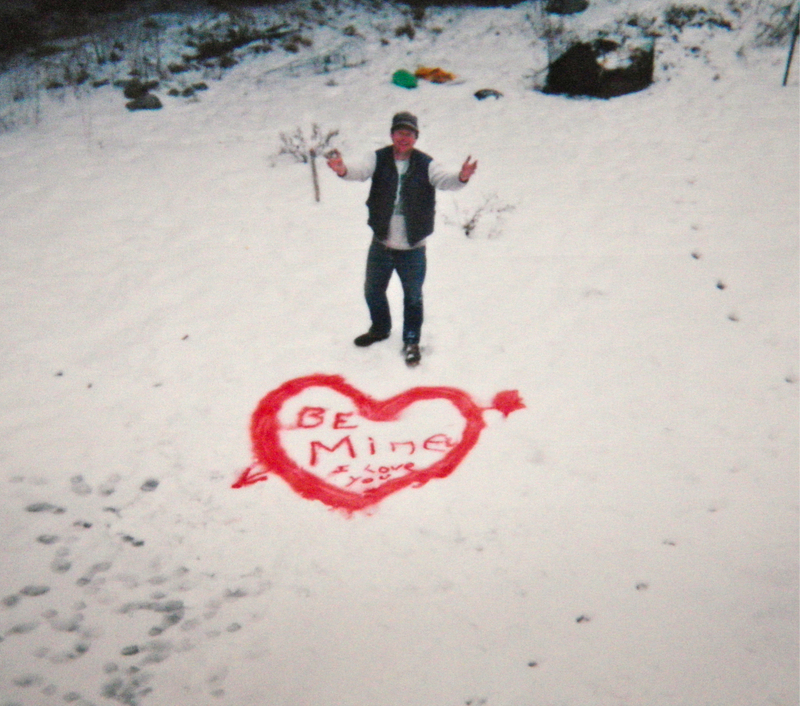 I love the valentine in the snow! So cute. Your hubs gets major points for that one! Love, humor, imagination and originality…what a winning combination! xoxo to both of you.